Your wedding band needs to last you a lifetime, that’s why you chose tungsten. Deciding to select a tungsten wedding band was an easy choice. They’re the longest lasting and most durable of any wedding band currently on the market. 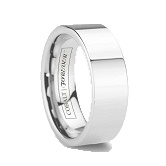 But now you’ll need to make a decision on style, as the options are endless for men’s tungsten wedding bands. Beveled, brushed, with inlay, diamonds, it goes on and on. There’s just so much to choose from. 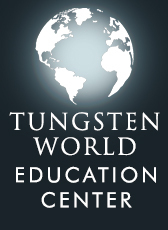 Luckily, Tungsten World carries the best selection of men’s tungsten wedding bands. 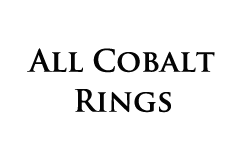 With a wide array of designer men’s tungsten wedding band types and categories, they’ve got you covered. No matter what your tastes or style, you’ll be able to find the perfect wedding band. Here is a guide to the types of men’s tungsten wedding bands out there. 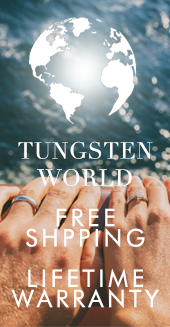 This extensive breakdown of the styles and options we offer should give you a better grasp of the types of things tungsten rings have to offer. So have a look, you’re bound to find something you’ll love. It’s the category that’s two rings in one. We take classic metals like sterling silver, 18k gold and platinum, inlaying them directing into a tungsten band. It’s the perfect blend of past and present, the form and function of tungsten inlaid with a classic precious metal. And for those looking to get a really modern band, we have tungsten inlaid with black or white carbon fiber. Looking to stand out from the other married guys around the office? 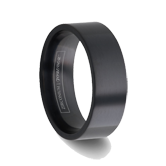 Get a black tungsten wedding band. Black is always “in,” and will definitely set you apart from the run-of-the-mill rings your friends have. With a variety of styles in black, we even carry two-tone black rings for guys that want to really stand out. With a ring of black ceramic and tungsten, the two-tone style has the class of black with the durability and shine of tungsten. 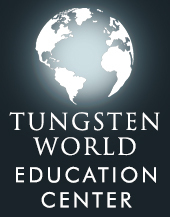 The similarities between diamonds and tungsten are uncanny. Both are hard materials, highly scratch-resistant and durable. When polished, they both illicit quite the shine, and they look great in any wedding band. Diamonds aren’t just for ladies anymore. Combining your tungsten wedding band with either a solitaire diamond or going all out with a precious metal inlay and 8 stones is the perfect top of the line wedding ring. Without a doubt, people will take notice. When it comes to ring styles, the most common are domed and pipe-cut style rings. They are classic and simple. But maybe for you they just aren’t stylish enough. A faceted band is much more your style. Whether it’s simple beveling, grooves or more modern deep-cut facets all the way around your band, a faceted style updates the traditional ring styles. 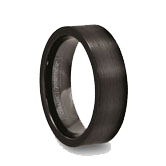 We also have grooved tungsten wedding bands and polished tungsten carbide wedding bands. All satin bands are brushed, but not all brushed bands are satin. Matted is brushed, but not satin. Confused yet? Don’t worry, many people get these styles mixed up but here is a quick crash course on these styles. A brushed finish is applied to many ring styles, giving the ring texture. Both satin and matted rings are types of brushed finishes. Satin is a finish that is considered finer and lighter. It adds some texture to the band, but is still a soft finish, hence the name satin. Matted is also a form of brushed finish but is much rougher in its look. The directional texture is easier to detect and as a result the finish appears darker than even a satin finish. We carry a variety of rings in both finishes. Whether you’d like your ring with lots of texture or just to appear slightly darker and less mirrored than the standard polished finish, there’s a brushed style for you. Any ring on our site can be laser engraved on the inside with your personal message, but we even have a selection of rings with laser designs on the outside of the band. Whether you want to celebrate your Irish heritage with a woven Gaelic or Guinness pattern, or display the strength of your love with a chain patter, we’ve got the ring for you. 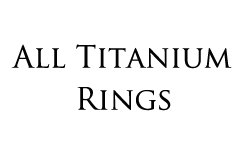 And even if those styles don’t strike your fancy, you can even contact us about a custom image. We’d be glad to help in creating a one of kind band for you and your loved one.